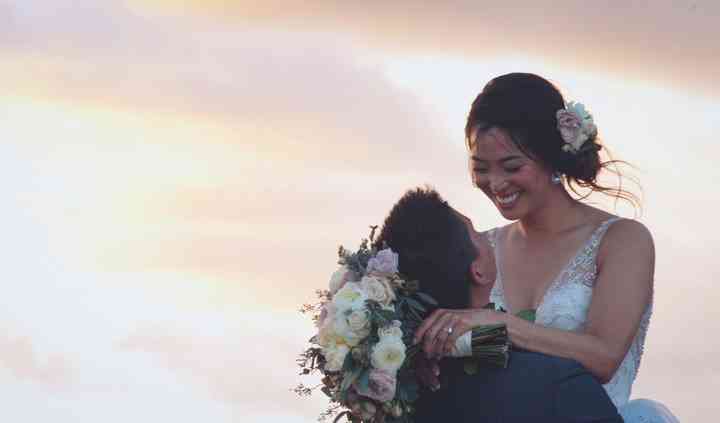 Millions of engaged couples turn to WeddingWire as their trusted wedding resource, with the largest directory of local wedding vendors in Hawaii. Easily find the best wedding services in your area with detailed vendor...Read more reviews, prices and availability for your wedding day. It's hard to imagine a more beautiful location for a wedding than Hawaii. In fact, you may have a hard time choosing where exactly to hold your Hawaii wedding because the possibilities are endless. Hawaii is made up of six distinct islands, each with its own personality. Explore each and learn what aloha-Hawaiian for love, peace, and compassion-really means. On Maui, the second largest island, you'll find a small town vibe with big beauty. Maui is famous for Hana and the curvy, picturesque road leading there. You'll drive through rainforest, past waterfalls, beyond pools and beaches before arriving in Hana town. Travaasa Hana-a beautiful resort-is an ideal venue for a Hawaii wedding. Oahu, home to the state capital Honolulu and the largest population in the Hawaiian Islands, has a diverse metropolitan culture and natural beauty. History enthusiasts will love exploring Pearl Harbor memorials and Iolani Palace, where you can also hold a most royal wedding. Leahi (Diamond Head) is another popular site for tourists as a rewarding hike provides a panoramic view of Honolulu. Couples can be married here, too, and will find the views nothing short of breathtaking. Kauai is the oldest Hawaiian Island and, because of its lush, green beauty, is nicknamed the Garden Isle. Beyond its natural wonders, there's much to explore on Kauai. Kilohana Estate is a 1930s restored plantation estate perfect for your Hawaii wedding. The Tudor mansion and 35 acres of land give you ample room for the wedding of your dreams. Molokai is the island of old Hawaii, and the majority of its population is Native Hawaiian. The land here seems untouched, and the people maintain a strong connection to the land and culture of Hawaii. If you want to experience true Hawaii, this is the place to be. Aqua Hotel Molokai offers lovely accommodations and can provide an intimate, tropical venue for you. Despite being the smallest of the Hawaiian Islands, Lanai is the island of two worlds. One features natural wonders like the sparse Keahiakawelo (Garden of the Gods) and beautiful trails and beaches. The other offers luxury resorts and golf courses. While both worlds have beautiful wedding venues, the ease and beauty of resorts like the Four Seasons Resort Lanai are especially enticing. Hawaii Island-or the Big Island-is the youngest and biggest island in Hawaii. Featuring Kilauea, one of the most active volcanoes in the world, the snowy mountains of Maunakea, and black sand beaches, this island is a sight to behold. There's much to explore on this vast island, and there are plenty of resorts to take care of you as you discover it all. 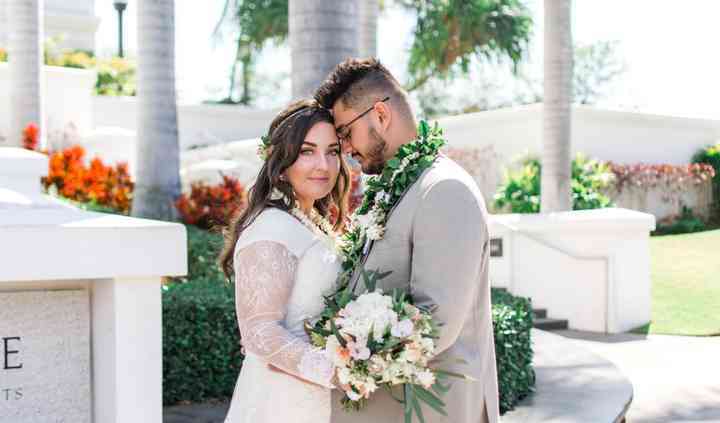 You can plan your Hawaii wedding at any number of resorts here, or check out Liliuokalani Gardens, a 30-acre Japanese Garden where the peaceful views can't be beat. Unsurprisingly, the weather in Hawaii is beautiful. It is incredibly consistent, hovering around 85 degrees in the summer, and 78 degrees in the winter. Each of the islands has a slightly different weather pattern and environment, so check the weather for your particular island in preparation. Rain is common in Hawaii, but weather patterns are fairly localized and rain rarely lasts long enough to disrupt much. Still, if you'll be getting married in the wetter winter months, plan on a tent or indoor venue, just in case. Match your décor to your surroundings in Hawaii. Let the tropical backdrop be your guide and use local flowers like the state flower-yellow hibiscus-or fragrant plumeria. Incorporate garlands of flowers throughout, and echo the bright colors of your flowers in your linens. The food in Hawaii is distinctive, and a traditional Hawaiian luau is an obvious and delicious choice for your wedding. Kalua pork, Lomi salmon, poke, Hawaiian mac salad and, yes, even poi can be a memorable part of your wedding feast. Whether you want traditional Hawaiian fare or not, a Hawaii catering company can help you choose the menu that's perfect for your Hawaii wedding. The music of Hawaii is distinctive as well, and nothing sounds sweeter than a ukulele at a wedding in Hawaii. Choose from any number of Hawaiian wedding bands for a native Hawaiian sound, or any other kind of music you choose. No matter where you're coming from, you'll be flying in to Hawaii. The major airport-Honolulu International Airport-is on Oahu, but you'll also find airports with direct flights from the mainland in Maui, Kauai, and the Big Island. If you're going to Lanai or Molokai, you can catch a ferry from Maui. The cost of a Hawaii wedding is definitely on the high side, though not among the top 5 most expensive states for weddings. Hawaii is a popular tourist destination, so look for off-season deals and venues off the beaten path to save money. A marriage license in Hawaii will cost you about $65 total. If you're 19 or older, a government issued ID is sufficient, but if you're under 19, you'll also need a birth certificate. You don't need to be a resident of Hawaii and there's no waiting period once you receive your marriage license. Your marriage license is valid for 30 days.